Thirsty? 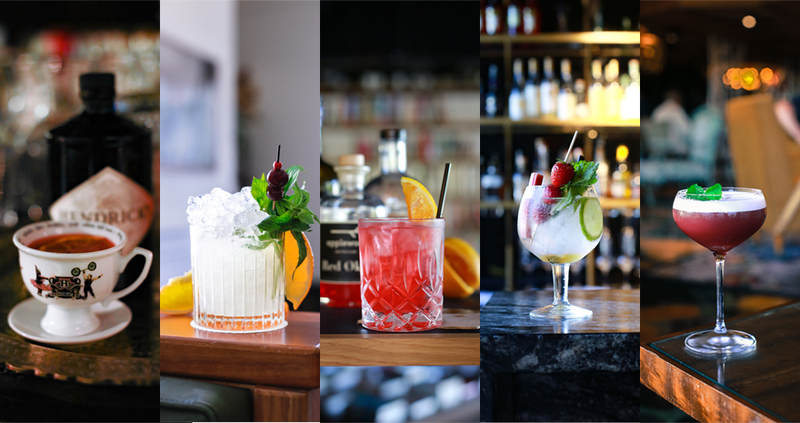 Here are some of the coolest bars in Canberra that are perfect for an after work drink, a night out with the crew, or a full on pub crawl around the capital. 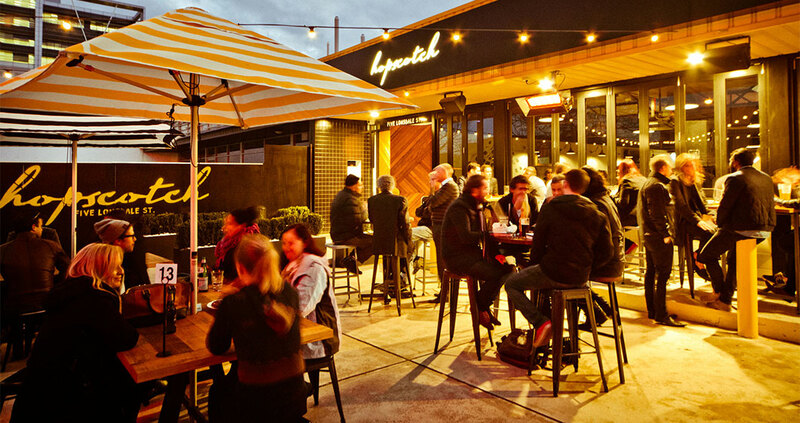 About: Amid a concrete jungle in Canberra’s city, there is the perfect haven to enjoy a drink and a bite to eat. Treehouse Bar, a relaxed lunch venue by day and classy dinner and drinks destination by night, provides a sanctuary to escape and enjoy good food and company. More info and menus here. About: Nestled on the ground floor of Kingston’s East Hotel is a small, modern, Italian gem boasting a big personality. Featuring numerous textures and colours by Sydney designer Kelly Ross, the interior of the venue combines marble, wood, metal, plastic and warm frosted lights above green velour lounges to present a comfortable space with all the trimmings. About: The Mawson Club is all about bringing the community together and providing a space for families and friends to enjoy a great dining and entertainment experience all in one location. The huge dining and café space and included bar, as well as their newly re-furnished lounge area caters for all your needs, as well as providing a spacious and accessible outdoor area for those warm sunny afternoons on the weekend. About: The Pedlar is a popular hotspot for not only its residing suburb but also Canberra and beyond, with crowds flocking to its sun-drenched corner on Constitution Avenue for breakfast, lunch and dinner, or just a spontaneous drink or… 20. Open seven days a week, The Pedlar doesn’t disappoint, featuring eight taps, a great range of wines, cocktails, and craft beers; perfect for lingering over on a sunny afternoon or a cosy evening. About: Beer or whiskey? That’s the question at Braddon’s den of pleasure – Hopscotch Bar on Lonsdale Street. Winner of the 2014 OutInCanberra People’s Choice Awards for Canberra’s Favourite Nightlife Venue, Hopscotch Bar is here to provide you and your friends with a wonderfully laid-back place where you can kick back and take in the casual style of Canberra’s favourite dining precinct. 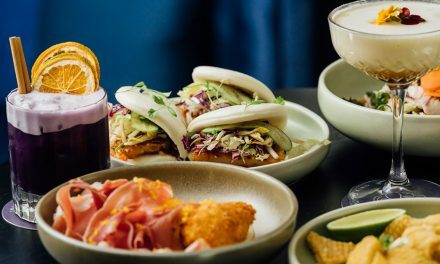 About: Night revellers and foodies of the far north need not travel to the city for a quality bite to eat and drink, with Young and Frisky attracting people from across Canberra right to the Gungahlin community’s doorstep. 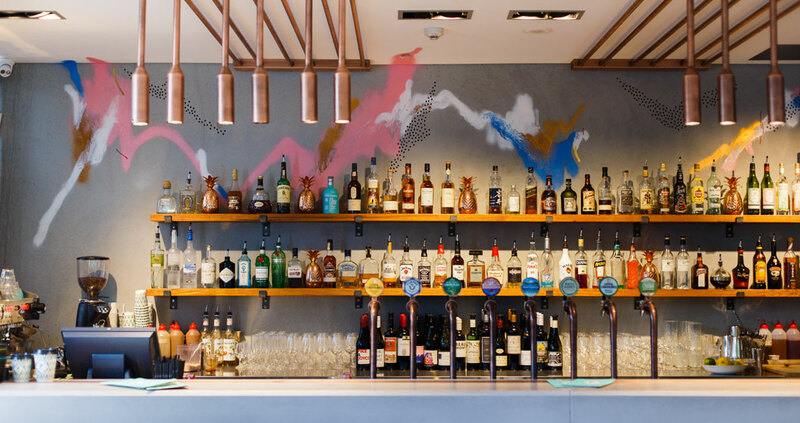 The pub combines a love for rum and whisky – the perfect accompaniment to its famed golden crispy morsels of fried chicken, bringing the best of Southern American food and exotic whiskies from all over the world to the heart of Gungahlin. About: If it’s entertainment you seek, Transit Bar boasts one of the most diverse selections of music (both live and on turntables) in the territory, with a fine repertoire of artists gracing the stage very week. Transit loves and supports Australian craft beer, pouring the finest draught this country has to offer by the pint or the bottle, with unique and seasonal limited editions available. 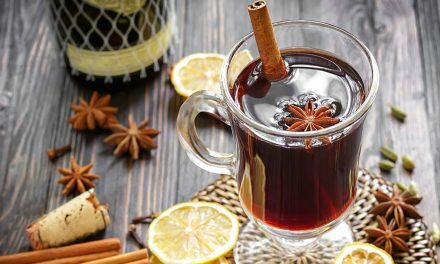 There’s also ciders and international beer by the bottle and a sizeable range of the liquor from the all over the world on hand, with the landlord’s cabinet reserve selection holding some desirable bottles and hidden gems for the specialised palate. About: Beside the calm waters of Lake Burley Griffin, a young Caribbean temptress beckons. The exotic vibe of the place is perfectly set surrounded by lush greenery, aviary themed wallpaper and street-art mural. 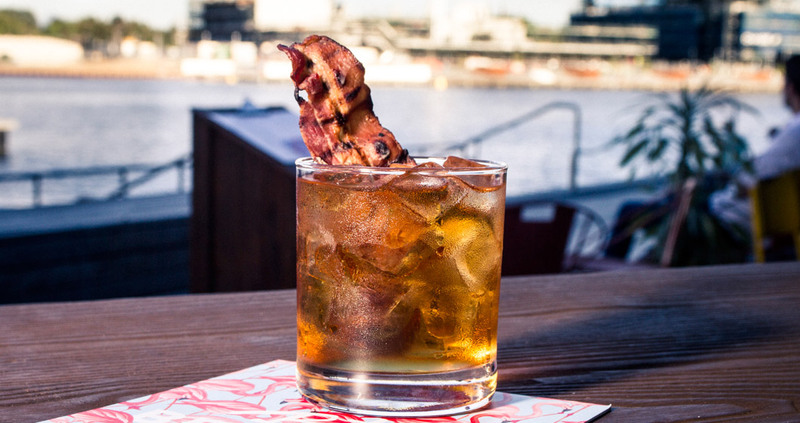 There’s a story behind every cocktail on the extensive rum-themed menu. You can’t help but be enchanted by the personal experience surrounding The Hoser – a strange combination of maple, bacon (! ), chocolate bitters and Canadian Club 12 Year Whisky. Surely, this is heaven in a glass?! About: Locally owned and operated, the Durham is a charming old-style pub set in the heart of Canberra’s leafy suburb of Kingston. The Durham has a lot to boast about, including Canberra’s best range of tap beer, including Little Creatures Pale Ale, White Rabbit White Ale, Fat Yak and Bulmers Original and Pear Ciders, an extensive range of single malt scotch including the rare Mackillops Choice single cask 1981 and 1986, Ardbeg, The Macallan Range and blended scotches including the Johnnie Walker and Chivas Regal 12 and 21 year and a handpicked range of quality tequilas, vodkas, gins and liqueurs. About: As a venue that prides itself on being ‘Manuka’s pub’, Public Bar has long delivered a great pub experience and so much more to the area. Occupying the eye-catching corner of Franklin Street and Flinders Way, its taken advantage of its great location to firmly establish itself as the cornerstone of Manuka’s bar and nightlife scene. About: Experience Canberra’s most loved cafe and bar. Gryphons is a chic venue with a relaxed atmosphere, offering a quality dining experience around the clock. It is situated in Canberra’s inner south on Barker Street within the suburban shopping precinct of Griffith and overlooks picturesque parklands. Gryphons’ atmosphere is warm and friendly, offering customers the choice of private booths or more casual dining options. The use of warm northerly-facing windows overlooking the green lush surroundings are a highlight, as is the use of timber flooring through Gryphons, leading to an open outer balcony which capitalises on the sunlight. About: Erindale Vikings, the first of the Vikings clubs to open in 1979, has paved the way for licensed clubs in Canberra. If you’re a sports fan who likes to watch your FoxSports alongside friends and family with great food and even better drinks, then Erindale Vikings just the club for you. About: there is a venue in the heart of Canberra City which provides quality dining at a reasonable price plus a great atmosphere. More than just a club, Hellenic Club in the City is a relaxed venue, suitable for the whole family. The fully-stocked bar serves a great selection of wines, beers and cocktails (starting at just $6), with a great TGIF Happy Hour every Friday night from 5-7pm. About: Kokomo’s in the perfect location for locals and visitors alike. The impressively large venue transports you to another world and makes you feel like you’re on a tropical holiday. One of the many fun and exciting things on Kokomo’s’ list is the golden pineapple disco ball that drops and spins to The Beach Boys’ classic – ‘Kokomo’. This amusing element will never get old! 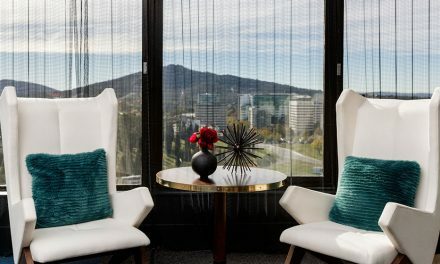 About: Set on the shores of Lake Burley Griffin, Walt & Burley is the first bar to open with truly expansive views of Canberra’s magnificent centrepiece.